You'll love my place in Old Town Albuquerque. It is a sanctuary for rest and relaxation ideal for solo adventurers, couples, and business travelers. The Sanctuary Suite is part of a beautifully restored Watson Adobe home in the Spanish-Pueblo style located in the Watson Historic District. The home is a short walk to Old Town Plaza, the Albuquerque Museum of Art, the New Mexico History Museum, Explora Children's Museum, Tiquex Park, art galleries, restaurants, shopping, and conference centers. The suite accommodates two guests. There is a private entrance to a bedroom and bath with the New Mexican charm of adobe plastered walls, viga ceilings, and Mexican tiles. A desk and love seat provide additional space for work or rest. A large built-in bookcase and large closet provide ample storage. The closet has an area with a refrigerator, coffee pot, and microwave oven. The bathroom has two sinks and a jacuzzi tub with a shower. A high adobe wall surrounds the home with privacy and serenity. 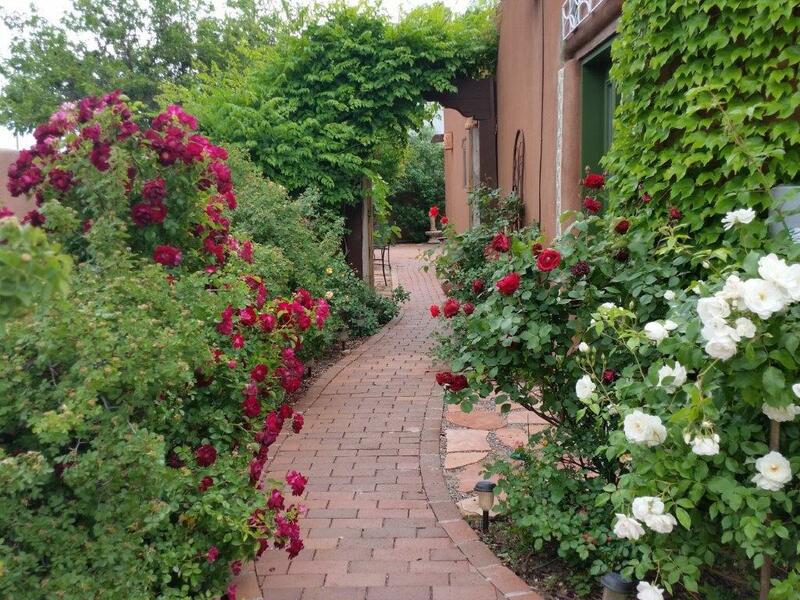 Behind the wall are brick walkways to flagstone patios with seating areas, rose gardens, and a grape arbor. 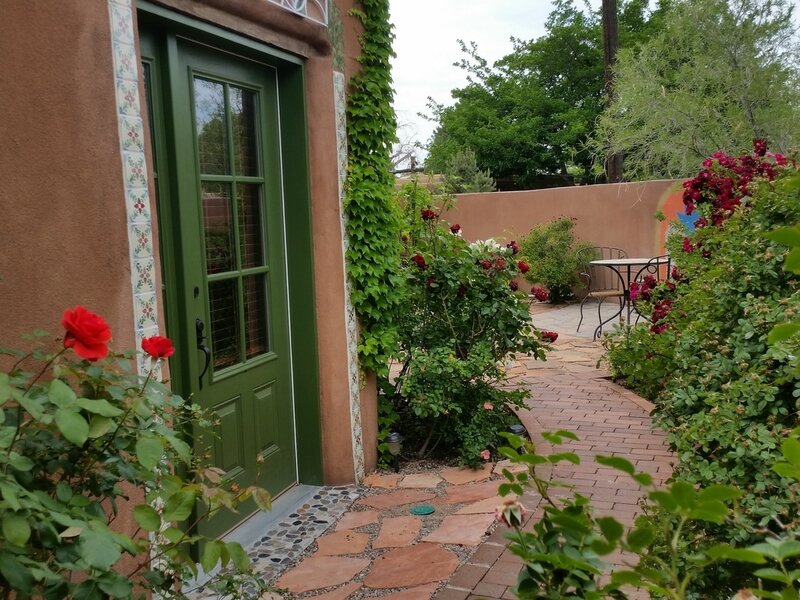 The Sanctuary Suite offers you an enchanting New Mexican experience in the quaint complex that is the Old Town/Downtown neighborhood. ​Check-in time is 1PM - 5PM.